Register365 Review 2019: Is Register365 a Good Hosting? Founded in 2008, Register365 is a trusted name in the web hosting and domain registration space in Ireland. It offers shared web hosting, dedicated hosting, easy website builders, e-commerce solutions, and SSL certificates via data centers in Dublin and Krakow. U.K. based Register365 is a leading domain registrar and web hosting company that provides a range of hosting and online solutions to developers, small business owners, and resellers. It has a portfolio of 1,900,000 domains and over 650,000 websites in its platform. Register365 gives customers a number of options to build their websites. They can use the website builder tool, hand-code with HTML, or run any of the free web apps such as WordPress, Drupal, or ZenCart via the one-click installer that has a collection of 100+ free apps including CMS, blogs, polls, wikis, forums, galleries, and more. If you’re a non-techie, you’d want to consider the website builder tool as it’s free for one year when you register a domain with them. The nifty builder comes with a drag-and-drop interface that lets you create a personal website or an e-store in no time. Free images are included with their package. You can add products and setup a payment gateway, and then start selling online. Signing up with a new hosting provider is something most people dread. You shouldn’t have problems managing your website or hosting space when you register with Register365 because you’ll get access to the user-friendly cPanel with a set of robust tools. Within minutes, you can add domains or subdomains, create emails and databases, activate security and backups, and do more from one place. 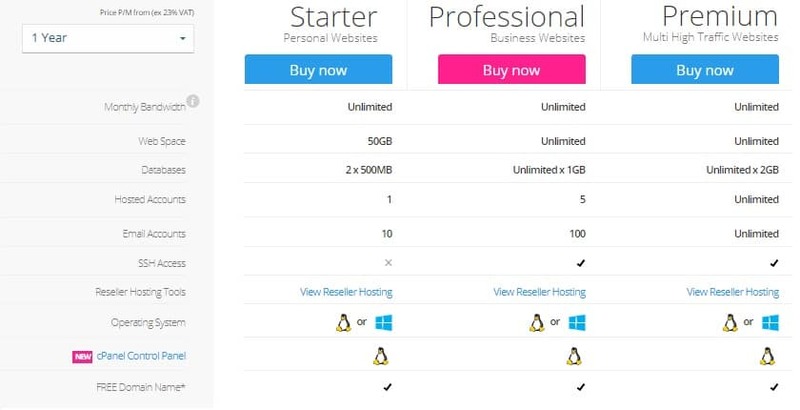 Register365 isn’t just in business to deliver services, but is committed to giving customers value for money with their high performance hosting that includes a free .co.uk domain for one year, free website builder with images, and free personalized emails. When ordering a package, you have the option to choose between a Linux or Windows platform for your website. Only annual and biennial billing plans are available. 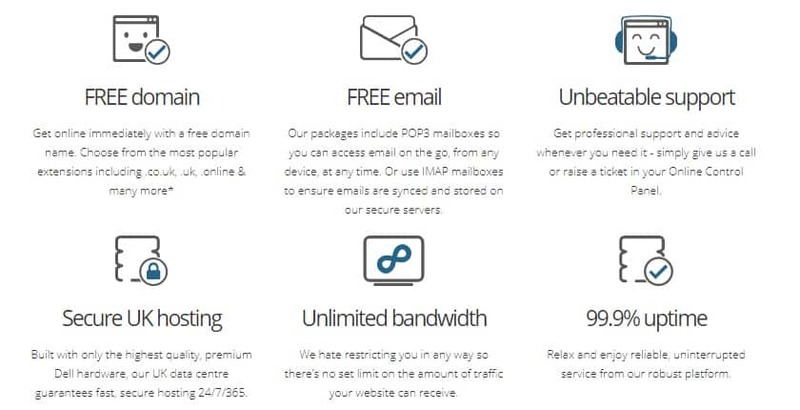 You can also get extras such as Managed DNS and other online brand protection services at a reasonable fee. Customers receive round-the-clock technical support courtesy of an experienced local support team based in the Midlands though they can also refer to their knowledge base for answers to simple hosting issues. Whenever you need professional support or advice, simply call, write an email, or open a ticket in your admin panel. Thanks to its purpose-built data centers and robust hosting platform, Register365 is able to provide hassle-free and reliable web hosting with true U.K. customer support. Wondering how Register365 stacks up against other Web Hosting companies? Enter any other Web Hosting company and we will give you a side-by-side comparison.